Hiya guys and Happy Halloween! The best day ever is finally here and I am so excited to get my spooky on. But beyond tonight, there is also the fact that Polish Pickup is less than a week away. Wallets start your quaking, haha. Today I'm sharing swatches for Sassy Pants Polish November contribution to the Polish Pickup Collaboration. The theme this month is Fandoms, which I predict it's going to be a killer month. Budget out of window pretty much. But without further ado, let's get to the swatches! 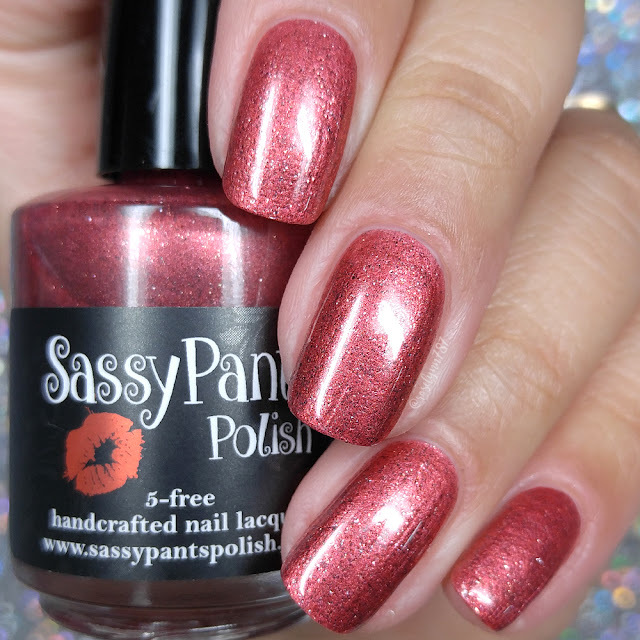 Death Cannot Stop True Love by Sassy Pants Polish will be available for purchase through the Polish Pickup Shop November 3rd at 11AM EST through November 6th. This full-size 15mL shade will retail for $11 each. If you're not familiar with the concept, the Polish Pickup offers a fun, interactive experience that allows you to submit theme ideas, vote for your favorite theme, and selectively purchase your favorite polishes every month. As I mentioned before, the theme that was voted for November was Fandoms! This month Angie was inspired by the movie The Princess Bride. Death Cannot Stop True Love can be described as a rust leaning red with gun metal microflakies, bronze sparkles and copper shimmer. I have to hand it to Angie, she knows how to make a stunning and unique red. It's amazing how many reds I own from Sassy Pants Polish alone and yet none of them are even close to being the same. The rustic hue really fits in nicely this time of year with Fall and Winter. 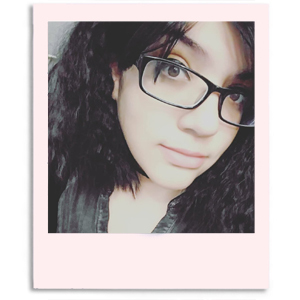 It does highlight some warmth from my skin-tone, but it doesn't cause it to clash. The formula has a sheer application that builds up nice and evenly for full coverage. Consistency wise it's very well balanced, not too thick or too thin. I experienced no staining on removal to my cuticles or nail bed. Shown in two to three coats and sealed with a glossy topcoat. To recap, Death Cannot Stop True Love by Sassy Pants Polish will be available for purchase through the Polish Pickup Shop November 3rd at 11AM EST through November 6th. This full-size 15mL shade will retail for $11 each.